There’s always something special to be said about tradition and history in any area of our lives including in what we drive. While there’s empirical proof that turbocharging and supercharging have helped to increase horsepower and give us better fuel mileage in performance vehicles, if you want a car that drives in a more traditional manner with a naturally aspirated V8 engine under the hood, you’ll have to search for what you want. There are still some new models made with the power you want under the hood, and all of the performance models are on this list. Not only is this one of the most amazing traditional sports cars with the drive you want, it still carries the power of the naturally aspirated V8 engine under the hood to give you an amazing ride. If you love a Camaro, this is the model you’ll want to enjoy when you’re ready to head out and unleash the pure horsepower of the eight cylinders pumping without any assistance. You’ll love the power under the hood of two different models of the Corvette that offer you the naturally aspirated 6.2-liter V8 engine. The Stingray and Grand Sport pump out 460 horsepower to make sure you can have the power and ride you’re looking for. This LT1 engine is the same one used in the Camaro SS but the Corvette offers a lighter chassis and a distinct level of performance for you to have the ride you want. If you want a naturally aspirated engine, the Challenger offers you a pair of Hemi models to choose from in the lineup to give you the V8 power you want. This car can be had with either the 5.7-liter model with 375 horsepower or the 6.4-liter engine that has 485 horsepower for the ride. 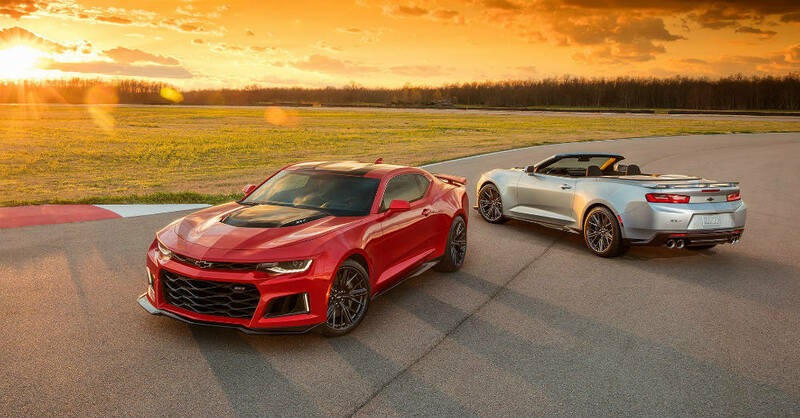 Either way, you’ll have the muscle car you want to enjoy on the road. Because this is basically the four-door version of the Challenger, you’ll have the same engine choices as the Challenger when you want to have naturally aspirated V8 power under the hood of what you drive. The Dodge Charger the perfect car when you need to carry your family with you but you still want to have the power and performance of a sports car under the hood. You may not think of an SUV that can offer you the quality ride and the fun of a powerful naturally aspirated V8 engine, but this one has what you’re looking for. This version of the Durango makes use of the 6.4-liter Hemi V8 engine to give you 475 horsepower and 470 lb.-ft. of torque for the drive. This SUV can offer you the power and the spaciousness you need for the drive. Yes, you can still have the Mustang with a naturally aspirated 5.0-liter Coyote V8 engine in the GT model and enjoy the power of 435 ponies galloping under the hood. If you want more, move up to the GT350 and check out the V00doo 5.2-liter V8 engine that makes 526 horsepower for the ride to be one of the best engines on the market today. Have fun with this amazing sports car and get out for an excellent ride. This version of the Jeep Grand Cherokee can be a lot of fun wherever you take it. Head to the track and let the 6.4-liter SRT V8 engine loose and see how fast you can go with 475 horses under the hood. Take this SUV out to the wilderness and make sure you can experience the outdoors the way you want so that you can have a fantastic ride and the qualities you’re looking for from behind the wheel. If you want luxury performance with a naturally aspirated engine under the hood, this is one that can be perfect for the drive. The Lexus RC F has a relatively high weight, but the strong 5.0-liter V8 engine offers you 467 horsepower to give you the ride you want for the fun that can be had out on the road when you see open areas in front of you. Right now, this is one of only a few luxury sports sedans that offer you a naturally aspirated V8 engine made for performance. This beauty is one that will absolutely give you the look, the drive, and the comfort you expect in a large luxury sedan that has the power to excite you when you push the accelerator down to the floor. It’s a bit of a surprise to think of Lexus as the brand that champions naturally aspirated power, but this car is the third Lexus offered that makes use of the 5.0-liter V8 engine under the hood. In this car, the engine makes 471 horsepower and is attached to a ten-speed automatic transmission to ensure you can have the power and performance you’re looking for when you head out for a drive. Finally, the last sports car on this list that brings you the strength of a naturally aspirated V8 engine under the hood is this gorgeous Maserati that allows you to have the perfect drive for what you want to get done. If you’re ready for this Italian beauty, it will easily give you the quality drive you’ve been looking for.